Probus clubs are a national network of social clubs for retired business and professional people. Some of them have websites which they struggle to maintain and many have no web presence at all. Crickhowell Probus Club wanted their own site, but suggested that it might be something I could roll out to many clubs. So the Probus Website Service was born, a WordPress multisite installation aimed at being simple to navigate and easy to update. 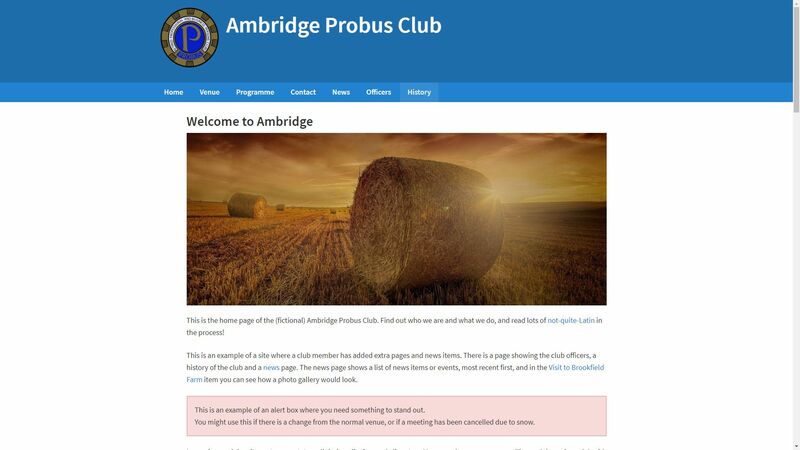 The facilities are demonstrated in the picture above using a site for the fictional Ambridge Probus Club.